Schedule gets easier but QB still not 100%. 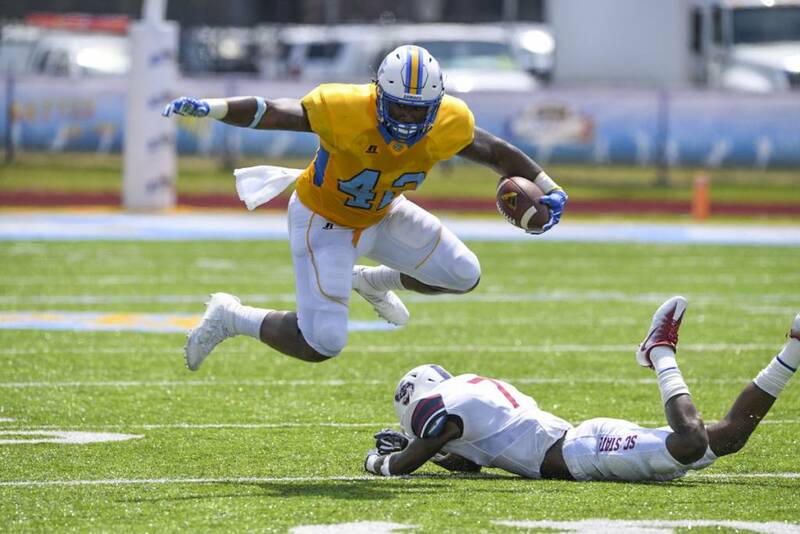 Southern University football fans may be a little nervous after a 1-3 start to the season but Coach Dawson Odums isn’t engulfed in anxiety. The Jaguars may have dropped a SWAC opener for the first time in five years but don’t hit the panic button yet. “We know we can move the football. It’s timely plays. We’re not executing those timely plays. We’re real close, we understand that,” Odums said during this week’s SWAC teleconference. Southern Miss and UTSA were FBS games in weeks two and three, no one realistically expected a Jaguars win out of those two games. Starting quarterback Austin Howard missed those games as well with a knee injury, before returning in time for Saturday’s loss to Alcorn State. The Jaguars got healthier behind center but lost a wide receiver on Saturday when Randall Menard broke his leg during the game. The injury ends his season and career at Southern. Injuries. That’s been a mitigating factor for the 1-3 start to this season. Odums is hoping to get more players back into the lineup, especially on defense. Danny Johnson and Jamar Mitchell are great at defending the pass but stopping the run is an area of concern right now. Southern was leading Alcorn State at halftime before the Braves running attack took the game over. As the Jaguars continue to heal fans should take solace in the notion that the schedule is lightening up, on paper at least. Division II Fort Valley State is in town this weekend followed by Alabama A&M for homecoming, the Bulldogs just picked up their first win of 2017 last weekend. After A&M comes Jackson State, who is currently winless. The October schedule finishes off with Arkansas-Pine Bluff who sits at 2-2 through its first four games. Odums can’t think that far ahead, however, his quarterback still isn’t 100 percent just yet. There’s no guarantee that he’ll play again this weekend versus Fort Valley after experiencing soreness on Monday. With the Bayou Classic and the final SWAC Championship inching closer, the Jaguar faithful are hoping their team will be 100 percent when it matters most.